Vintage 60s 70s dress in pink with a crane bird print and flowers. 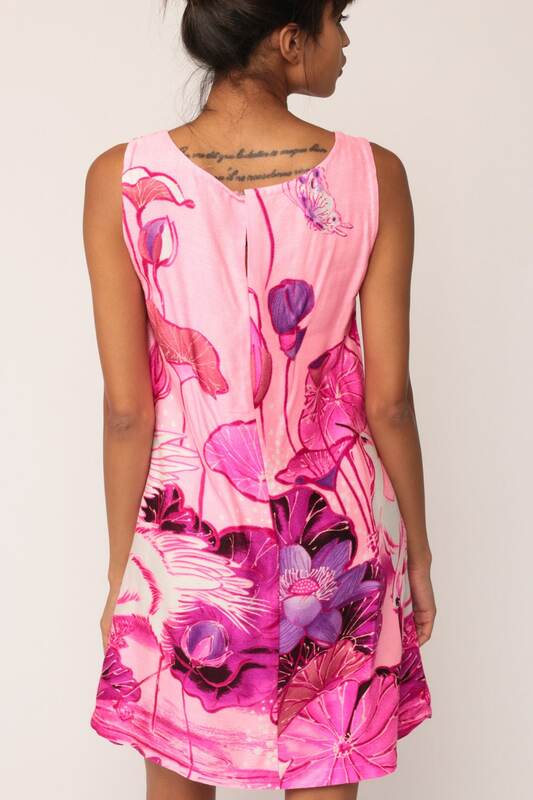 Sleeveless shift cut with a keyhole and hook and eye closure at the back. Mini length.